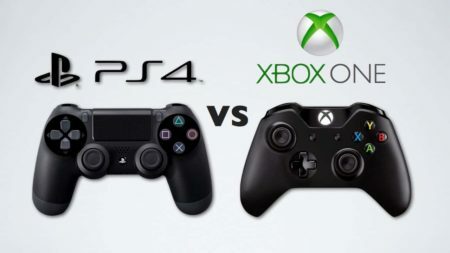 Seeing as Sony’s PlayStation 4 and Microsoft’s Xbox One are currently the two most popular and financially successful consoles on the market, the two have been compared thoroughly on nearly every level over the years. This includes everything from hardware specifications to peripherals and accessories. The controllers, in particular, have been a subject of much debate, something we have already discussed in our article on the best PC controllers, but we will conduct a more thorough and in-depth comparison here. 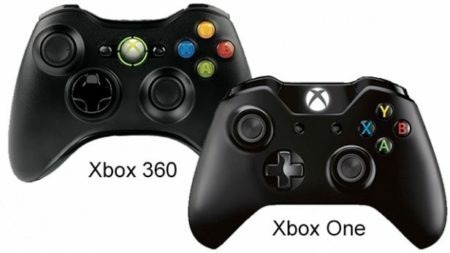 Note that we will be looking at the latest revisions of both of these controllers. Sony’s controller design had barely changed over the years. As a matter of fact, the very first DualShock controller is nearly identical to the previous generation’s DualShock 3 at first glance. This was viewed as something of an “if it’s not broken, don’t fix it” approach on Sony’s part. However, the latest DualShock 4 controller has indeed proven that there is still room for growth, as evident from the refreshed design and several convenient new features. As can be seen from the above picture, the DualShock 4 is a tad bigger and incorporates a much sleeker design than its predecessor while also being more ergonomic. In terms of functionality, it is superior in nearly every regard – smaller and more responsive analogue sticks, much more comfortable triggers, a headphone jack, a built-in mono speaker and a touchpad. It also swaps Sony’s Sixaxis motion detection technology for a much more reliable gyroscope/accelerometer combination. Microsoft’s latest controller is a much subtler improvement on its predecessor, the Xbox 360 controller. The latter was often hailed as one of the best controllers of all time, especially for PC, so Microsoft stuck with the “tried-and-tested” formula for the 360’s successor as well. The Xbox One controller appears less bulky than the 360 one, while also adopting a much cleaner and more minimalistic design. It gets rid of the 360 controller’s colorful and conspicuous buttons and introduces a couple of practical changes too. The Xbox One controller makes the shoulder buttons more responsive, the triggers larger and more comfortable, the thumbsticks are micro-textured to provide better stability and the lower weight makes the controller much more comfortable to hold. The biggest additions were a headphone jack and a completely redesigned D-pad, which was the 360 controller’s biggest flaw. As for the table above, the touchpad (marked with a star) includes a single physical button but can function as two virtual buttons. Finally, we come to the big question – which of these controllers is superior when they go toe-to-toe? Let’s find out! Each controller’s design should be viewed from two standpoints: the aesthetic and the ergonomic one. In terms of visual appeal, one can hardly determine which is superior since it is mostly a matter of preference. Both controllers give off an impression of quality, although the DualShock 4 leans towards a more “futuristic” feel while the Xbox One controller is a lot more minimal with its design philosophy. As for the ergonomic qualities, the two controllers are on even terms here as well. They both fit comfortably in the user’s hands, with micro-textured grips and without any discernible difference in the overall weight, although the Xbox One controller is the heavier of the two. 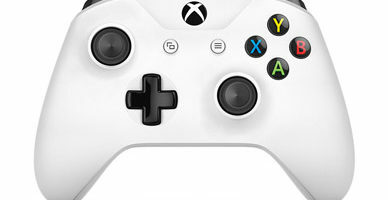 It is worth noting, though, that Microsoft offers many more variations in terms of design, as well as the option for users to design their own controller. 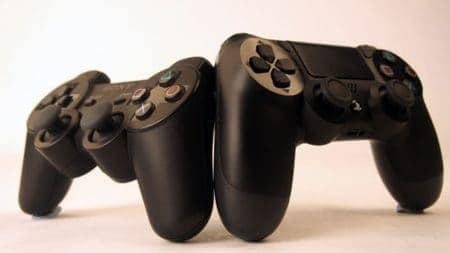 Both the controllers adhere to their respective traditions in terms of stick placement: the DualShock ones are positioned symmetrically while it is the opposite with the Xbox ones. In terms of thumbstick design, the Xbox One sticks are definitely more ergonomic as it is virtually impossible for the user’s thumbs to slip off thanks to the micro-textured edges. DualShock 4 thumbsticks are not much worse, but the less prominent texturing does make slipping possible. As for functionality, DualShock 4 has the lead. Sony’s analogue sticks are more responsive and a tad stiffer, but in a good way. Ultimately, they allow for more precise movements and remain quite firm for a longer time. The role of the D-pad has changed dramatically over the years. 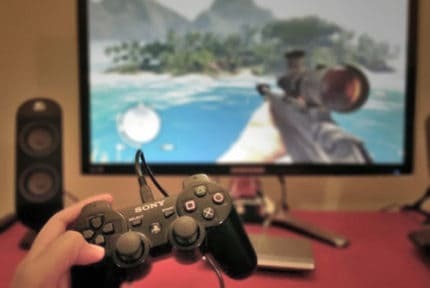 In modern 3D games, it is mostly used as a means of selecting items and/or weapons, while a number of 2D games still use it for its original function – movement. The Xbox 360 D-pad was downright infamous. It had trouble reading input accurately and was borderline unusable for side-scrollers. The Xbox One controller greatly improves upon it both in terms of design and functionality. However, transitions from one direction to another remain rigid and are followed by loud clicks, which still prevents it from being used comfortably for 2D movement. The DualShock 4 only introduces a slight revision to the nearly-perfect DualShock 3 D-pad. Namely, it is now slightly bigger and more tactile. It is just as precise as the Xbox One controller D-pad, but with barely audible sound and with no rigid transitions between directions. The shoulder buttons of both controllers have seen moderate changes, neither of which are revolutionary or groundbreaking. A problem with the Xbox 360 shoulder buttons was that they were designed for clicking and not to be held down. This issue was rectified with the Xbox One controller, and the shoulder buttons are also larger and easier to press. On the downside, they produce a loud and sharp click when pressed which some people may find distracting. The DualShock 4 got rid of pressure sensitivity which was present in the previous generation shoulder buttons, and it also traded the rectangular button design for a rounded one. The new shoulder buttons click like the Xbox One buttons do, although these clicks are a tad quieter and noticeably softer. One of the biggest differences between the two controllers are the triggers. During the previous generation, the Xbox 360 controller had a poor D-pad and the DualShock 3 had poor triggers. Their primary fault lay in their slightly convex design, something which resulted in them being very uncomfortable to hold down for more than several seconds at a time. The DualShock 4 triggers are redesigned in order to be more ergonomic and now leave little to be desired. However, the Xbox One controller’s triggers are still several steps ahead. First of all, they are quite a bit bigger and sport an even more ergonomic design, which makes for better immersion and more comfortable use. Moreover, they possess a haptic feedback function which can contribute even more to player immersion, especially in racing games. And finally, we come to the miscellaneous features. Both controllers incorporate a headphone jack into their design. This way, any wired audio device can be made wireless, from earbuds to headsets. In this regard, however, the Xbox One controller has a slight advantage since it works on PC with any sort of Bluetooth adapter while the DualShock 4 requires the official Sony Bluetooth dongle in order to be able to transmit audio wirelessly. One clear and very significant advantage that the DualShock 4 has over the Xbox One controller is its built-in gyroscope/accelerometer combo. This highly convenient feature allows for more accurate and intuitive camera movement, which can be especially useful for fine-tuning your aim in shooting games. On top of that, it presents a much easier way to use a cursor than an analogue stick. Yet another feature that the DualShock 4 has and that the Xbox One controller does not is the touchpad. Apart from the obvious application as a means of camera or cursor control, the touchpad is clickable and can serve as two buttons. Moreover, there is a variety of in-game gestures that can be performed in PlayStation 4 games with it. As you can see, the two most popular controllers are actually evenly matched. For the most part, there is no palpable difference between them. The biggest distinction can be made in the D-pad and the triggers department, with the DualShock 4 winning decisively when it comes to the D-pad while the Xbox One controller has generally better triggers. That said, the former will excel when it comes to 2D platformers while the latter will excel in racing games. In our book, the DualShock 4 is the winner. Why? Simply because it offers everything that the Xbox One controller does, and then some. But, as we have mentioned previously, it mostly comes down to personal preference, as both of these devices are top-quality controllers and neither of them has any major flaws.